Customers often come to us with a broad idea of what they want in a new product. We take their vision into the lab where our proficiency in innovative product development delivers a delicious, shelf-stable, market-ready product. At O-AT-KA, research and development seamlessly integrates into manufacturing, resulting in formulas that can be reliably and efficiently produced. For our customers, we occupy the “sweet spot”— we’re a big enough co-packer to have access to ample resources while small enough to be responsive and quick to market. One of the things that differentiates our R&D efforts from those of our competitors is that we embrace “Blue Sky” projects. With input from our Marketing team, we proactively identify category white space and encourage our scientists to explore, imagine and invent. 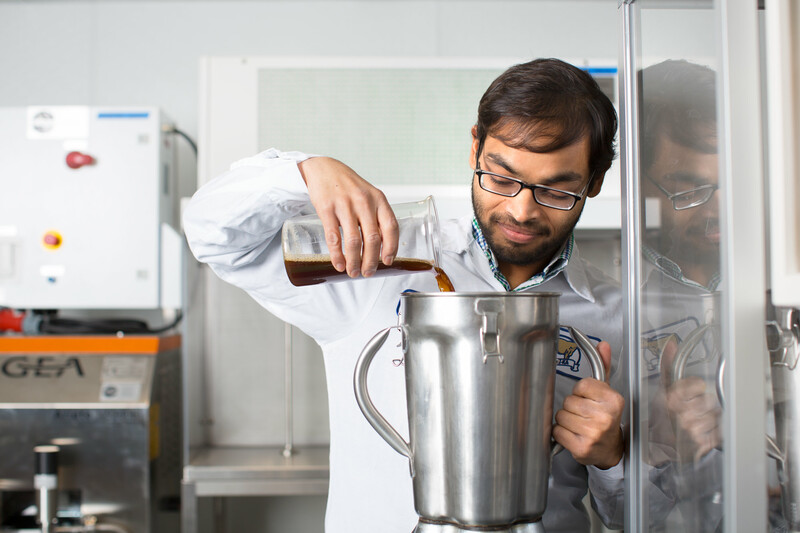 This ensures that our customers get value out of an R&D department that is always working towards the “next big thing” in the beverage market. AND HOW TO MAKE IT. We know what works in the market because we’ve created products that have done just that. 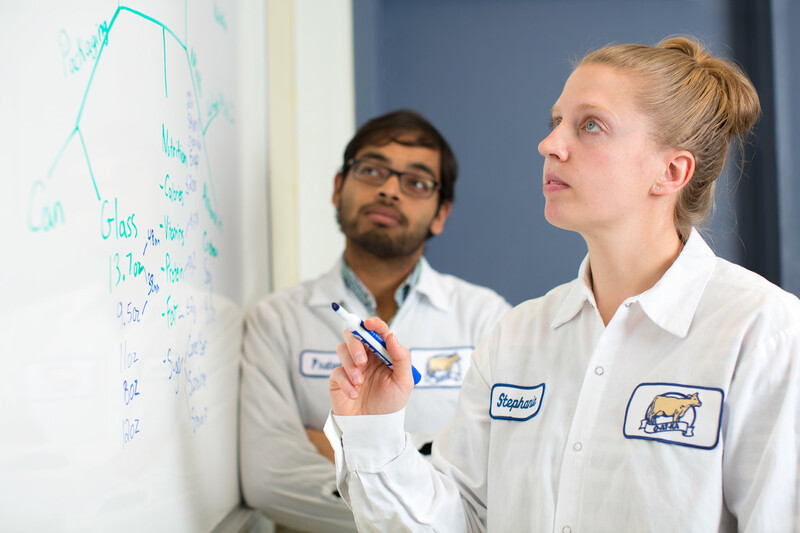 We recognize opportunities and utilize our skill sets in marketing, dairy sciences and manufacturing to develop products that become the solution to our customers’ goals and objectives. Throughout the development process, we ensure the strictest adherence to safety and regulatory standards. The quality of the products we produce for our customers is our livelihood and personal responsibility. That’s why we make sure that our formulas pass the most stringent quality assurance tests, delivering confidence with your final product.